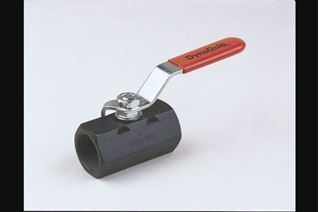 Durable and reliable ball valves are found throughout industrial applications and the DynaQuip carbon steel ball valves have been relied upon for superior flow control for 70 years. We offer numerous options in stock carbon steel ball valves and also have the capabilities to manufacture valves that are custom-designed to meet a specific application. 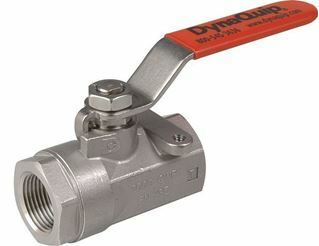 DynaQuip offers numerous options for carbon steel ball valves that meet the needs of heavy industrial applications such as hydraulic, petroleum, petrochemical, gas production, fracking, pipeline, and crude oil. Ball valves come in a variety of configurations to provide outstanding and consistent “made in the USA” dependability over many years of service. Carbon steel ball valve options range from economy valves for low pressure general applications, medium pressure applications for specific industry use to high pressure ball valves that are suitable for high-pressure hydraulic applications. For applications that need to divert the flow, our 3-way or 4-way ball valves are the ideal solution. The 3-way ball valve series features an L ball pattern and is designed for high pressure applications. For high pressure hydraulic cylinder control, the 4-way ball valve series has a double L ball pattern. Both the 3-way and 4-way ball valves are suitable for use with hydraulic oils, water/oil emulsion, air, glycol and gasoline. Carbon steel ball valves by DynaQuip provide superior performance for industries such as agriculture, oil, and manufacturing which require rugged and reliable performance. DynaQuip stainless steel valves are designed for the flow control processes of chemical, petroleum and general chemical applications, as well as food industry process. Industry leading companies in MRO supply, manufacturing, agricultural and production rely on our rugged stainless steel valves for superior performance. Choose stainless valves by DynaQuip, the proven manufacturer that has been setting the standard for decades. 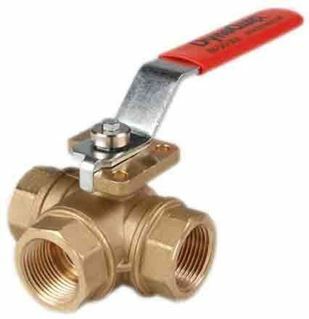 DynaQuip brass and bronze valves are designed to provide years of rugged durability at a superior economical advantage. Built for commercial and general industrial applications and media, these valves offer many more years of performance over lightweight throwaway valves. Stop the failure rate and constant replacement cycle of inexpensively built valves! Choose a valve to stand up to your application at a competitive price – choose brass or bronze valves by DynaQuip, the proven manufacturer that has been setting the standard for decades.